Some people are ready for the comforts of home after a weekend of camping in close quarters with the kids. Not this family. 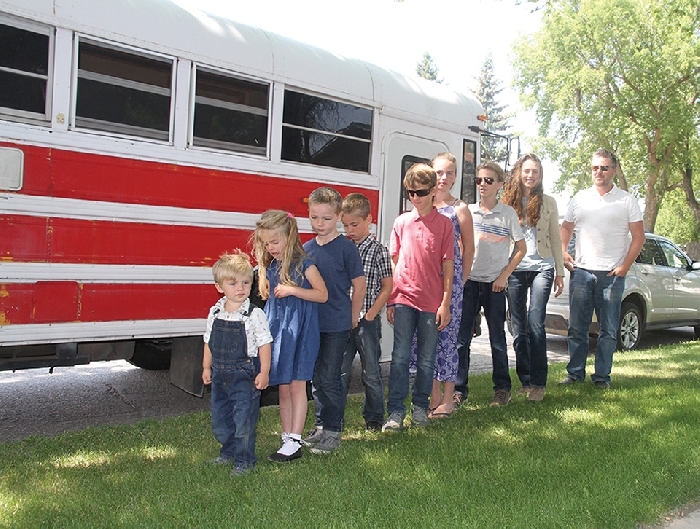 Shane and Julie Good and their seven children—Isaiah, 14, Arwen, 13, Ashton, 11, Ethan, 9, Elisha, 7, Kira, five, and Seth, 2—live in a converted 72 passenger school bus, the Good News Bus. They have been living in the bus for the last 21 months straight, including the last few months at Moosomin Lake. How did they come to live in a bus? Shane says it goes back to his childhood. “I was born in Seattle. When I was about five years old, my parents wanted to move from Washington State to Pensacola, Florida. A few years ago, Shane decided to resurrect the bus idea with his family. “Julie’s a native of Brandon, Manitoba. We were living in Alabama. We wanted to come up, visit Julie’s family and we were going to swing over to Washington State,” says Shane. “We were going to move there,” adds Julie. “At that time we had five children, and we thought before we move let’s build out a bus so that when we are moving we can have a place to live while we’re building our house, and we would be comfortable. We would have a bathroom, we would have a shower, we would have a kitchen, everything we need. “Converting the bus itself was a bit of an adventure. Shane wanted it to be perfect. He did a lot of research on everything you need, the things you shouldn’t do, that you should do. The family took their maiden voyage in the bus in December of 2010. “We came up here in the winter of 2010 at Christmas to spend time with my family in Brandon,” says Julie. “I think we forgot how cold cold really is because once we got here the bus was too cold to live in. “We were in Canada for five years, and stayed in the bus for three of those years. Then we had Kira and Seth, then decided it was time to get back on the road. It seems like when we’re stationary for too long we just need to get back on the road. There’s something about the road calling you on an adventure. Julie also does architectural design and makes up building plans. 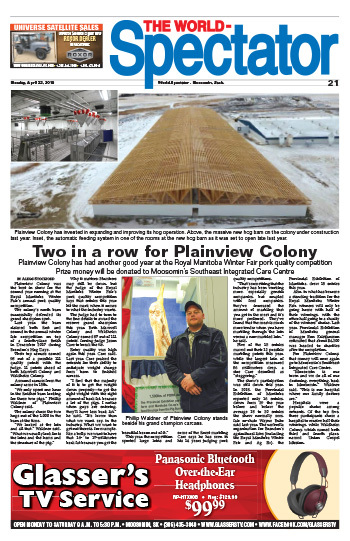 The family also builds and sells spec houses, such as one they built in Oak Lake. So how did they end up at Moosomin Lake this summer? The kids all say they enjoy Moosomin Lake, especially when they went fishing off the dock and caught three fish in an hour. The family say they feel like they have more time together living together on the bus. 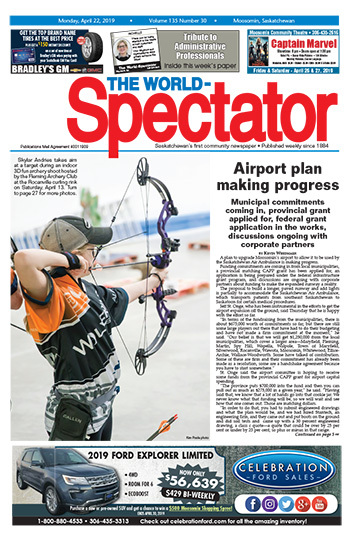 “At one point when we were living in Virden, we had a five bedroom house, a huge basement, and even though we were home schooling we felt that we didn’t see our kids,” says Julie. “They would be off in their rooms and they weren’t even doing things with each other. We’ve definitely seen the huge contrast. “I think one thing we have learned is your happiness isn’t determined by your space,” adds Julie. The family has travelled much of North America. The family has a growing number of followers on Youtube. They post videos of their adventures and everyday activities like checking out Moosomin dam. They’re hoping to land a deal for a reality show. They’re planning to convert a new bus later this year. It will be a coach style bus with storage underneath to accommodate more storage. The family say the comments from their YouTube followers give them inspiration to keep going. “There was a guy over in Afghanistan when we had soldiers there who wrote us and said the only way he could get some normality in his life is every night when he came off duty he watched our videos,” says Shane.